HONOREES May 14, 2014: President Michelle Bachelet, Chile; President Jose Mujica, Uruguay (Nobel Nominee); Mayor Aja Brown, Compton, CA; Carlos Gonzalez Gutierrez, Consul General Mexico; among 2014 honorees at Sacramento, California's Crest Theater. The May 4 Women of Color Day/Diversity Event launcheD WomenWorldCulture, a global network connecting women and cultural groups through the efforts of social entrepreneurs, especially women. Attention focuses on concerns of women, cultures and environmental suststainability, in keeping with United Nations Resolutions, January 6, 2014, that, "Female Entrepreneurs Are Key to Sustainable Global Development." 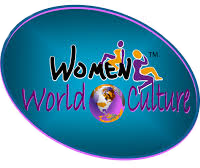 The WomenWorldCulture website has a public section and a fee-based network member-section. WWC network members are eligible to advertise on the site and secure first access to unique events, services, and social entrepreneur funding opportunities. Cofounder of March 1 as Women of Color day in 1985, Suzanne Brooks, established International Association for Women of Color Day as a social entrepreneurship in 1999 in Sacramento and serves as its CEO. She is the founder/social entrepreneur of WomenWorldCulture, as well as the singer and bandleader of The Jazz Generation. Brooks follows the lead of entrepreneur, investor, media personality, and Entrepreneur-in-Residence of Dell Inc, Ingrid Vanderveldt, who has made "Empowering a Billion Women by 2020" her mission. The mission of the International Association for Women of Color Day/Diversity Event is to engage those who can see, share and work to implement and advance the cause of promiting March 1st as Women of Color Day annually to honor outstanding women and girls of color and supporters of justice and equality and to build the structure to implement the Women World Culture vision. WWC offers social entrepreneurs and activists - women and men, individuals and groups - the opportunity to demonstrate giftedness, exchange ideas, contribute leadership, and join in the establishment of a new, global venture and community. in the near future, a new coordinator will be engaged to continue the annual Sacramento Women of Color Day/Diversity Event with the support of WomenWorldCulture. The primary task of the new coordinator will be to direct the annual Sacramento event with funds provided by WWC. In addition, the Women of Color Day Coordinator will set the suggested annual theme for Women of Color Day events across the nation and around the world. Local communities, at their discretion, may utilize this theme or their own. Communities everywhere are welcome to contact the International Association for Women of Color Day, a network, not a membership organization for answers to question about the history of the day, available speakers, and sample documents to facilitate their commemorations. This service is free of charge. Those interested in using the logo of the International Association for Women of Color Day should send a written request for the requirements for the use of the Women of Color Day logo. Use of the "official logo" is permitted for publicity materials and on souvenir program booklets distributed free of charge. Use of the Women of Color Day logo is not permitted on income generating materials of any kind because the International Association for Women of Color Day has sole commercial/income producing benefits of its logo. The logo is also the trademark of the International Association for Women of Color Day.